During the worst depression this country has ever known, a 20-year-old artist named Cipe Pineles walked around New York trying to sell her paintings of sandwiches and Coca-Cola bottles. Several decades later, of course, magazines like McCall’s would indeed buy Cipe Pineles’ still lives of sandwiches, as would Ladies Home Journal her herbs, and House Beautiful her cheesecake. In the intervening years, Miss Pineles became one of the most highly acclaimed magazine art directors and graphic designers in the country. She worked as design consultant for New York’s Lincoln Center, and as director of publication design at Parsons School of Design. She was born in Vienna, attended high school in Brooklyn, and went to Pratt Institute, where she won a Louis Comfort Tiffany Foundation Scholarship. After graduation, and what she calls an “adventurous” year in the still-life painting business, she became assistant in 1932 to M.F. Agha, then art director of Condé Nast publications. She stayed at Condé Nast long enough to become a 10-year-test-case of The Art Directors Club’s admission policy toward women, and did in fact become its first woman member. 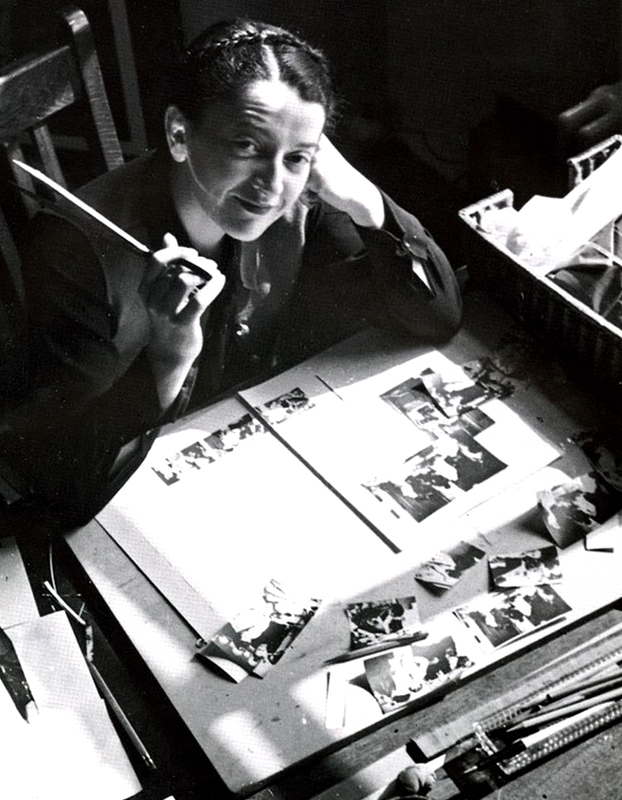 In 1947, she moved to Seventeen as art director, introducing there the commissioning of leading painters to do fiction illustration (on the theory that young readers would have few barriers in accepting fine art). And so the pages were graced by the work of Ben Shahn, Leonard Baskin, Raphael Sayer, Kuniyoshi, Doris Lee, Robert Osborn, Jan Balet, Joe Kaufman, Evalyne Ness, Lucille Corcos, Andy Warhol, Ad Reinhardt, Richard Lindner, and Jerome Snyder. In 1950, Miss Pineles was named art director of Street & Smith’s Charm, where she and Editor Helen Valentine redirected the publication to a then new consumer audience—women who work. She moved to another Street & Smith publication,Mademoiselle, leaving in 1961 to work as an independent designer and illustrator. Cipe Pineles became design consultant to Lincoln Center in 1967, with the entire graphics program of the Center, from stationery to annual reports, under her supervision. Her communication assignments there also included the corporate symbol design and the monthlyJournal and Calendar of Events. In 1970 she joined the faculty of the Parsons School of Design, becoming as well director of publication design. The “Parsons Bread Book,” produced as a class project, was republished by Harper & Row in 1974, and the original student version, “Bread,” was included in the 1974 American Institute of Graphic Arts’ prestigious “50 Books Of The Year” show. She was married to William Golden for 20 years. Several years after his death, in 1959, she married Will Burtin, who died in 1972.